Anthony has been an outstanding asset to have in my job hunting journey. I appreciate his advice and how hard he has worked to get me an interview. Anthony had great advice and helped me to focus on the important aspects of the interview process. Glad that Anthony contacted me. I have been working with Anthony for over two years and he has provided me job openings as they become available in my area; which is limited. His patience with these limitation has been price-less. Anthony did a fine job in matching my skills with appropriate job opportunities. Anthony kept me posted regarding interview feedback. He made sure the job opportunity matched my skills and what I was looking for in the job market. I appreciated [Anthony Bileddo’s] efforts to review the position that I would be interviewing for. I felt very confident going into the interview. He also was very honest about the the improvements I needed in my resume which has helped me. I am very impressed with his thoroughness. Anthony is great to work with and very proficient in his job skills. I would highly recommend him. Even when I got discouraged he was encouraging, giving me helpful pointers for the interview. Although I have not gotten the position (yet) Anthony has been extremely helpful. Anthony keeps me informed on the progress and, immediately sent me address information even though I had only been granted a phone interview! His attention to detail is excellent in a trying time like such as job searches. I have now passed the phone interview and have been called for an in-person interview. Very professional and hard working. I would highly recommend Anthony to anyone looking to advance in their career. [Anthony Bileddo] is very thourough, realistic and does not waste my time. I found his comments very helpful. Hopefully, I will land the position that I want with his help. By submitting your email you are signing up to receive job positions open in your area, latest updates, and news from Bileddo Associates. We are proud to announce the official launch of Resume CPR, a resume service exclusively catering to the healthcare executive and professional marketplace. Once you have sent us a response to the letter with your current resume, we will give our best effort to have a revised copy for you to review within one to two business days. 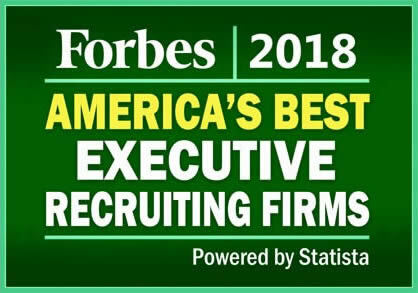 We find our clients the very best human capital available in the current market and deliver that talent in the most efficient and cost effective manner.